This statement is one of the cornerstones of all of Scouting. Part of the Scout Oath "I will do my best to do my duty to God..."
The Boy Scouts of America recognize that each of us interprets our Duty to God by following our own Faith. Our Chartered Organization, St. Francis of Assisi, is a Catholic Church and a robust community. But we also have members of the Pack of many different faiths. Pack 920 encourages Scouts of all faiths to explore and deepen their relationship with God by pursuing the Religious Emblem appropriate to your faith. Working on the Religious Emblem is an opportunity for Parent and Scout to have a structured conversation designed to deepen the Scout's faith in an age-appropriate and Church-approved way. Each year a Cub Scout will explore faith with their family. For additional details on the Religious Emblems Program, click here, and for information on how to get started click here. 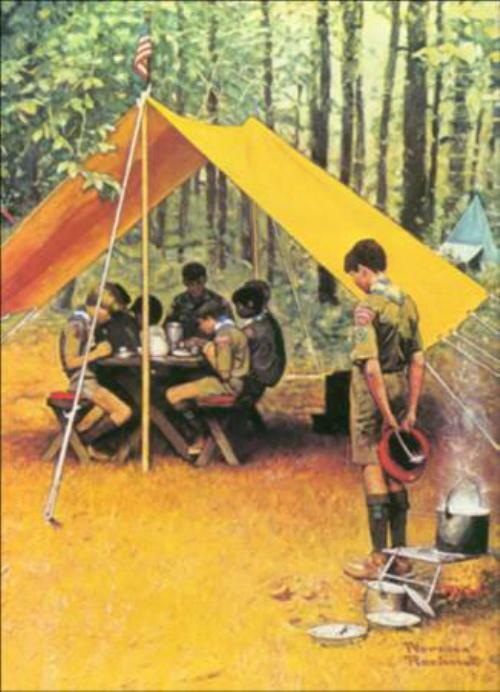 The appropriate literature can be purchased at the local district Scout Shop or at the Scouting online store.